We know most Westerners don’t like Ho Chi Minh city. 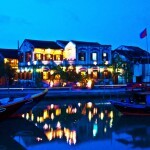 They suppose Not many things to do in Ho Chi Minh, and would usually only recommend 3 days or less. We happen to disagree. We love Ho Chi Minh city. Maybe we’re a little biased because some of our team were born in Saigon, but this city has so much to offer that most people don’t have time to even give this beautiful city a chance. It’s the melting pot of Vietnam. People from all regions have moved into the city and with that, the best Vietnamese is here Ho Chi Minh city. As many people know, Ho Chi Minh city is divided by “Quan” aka District. The most popular district is District 1. But there’s not only District 1, Ho Chi Minh is a big city and has much things to do apart from guidebooks. District One – That’s where all the tourists go, and if you go to any other district, you’ll be surprise to see one tourist. Are they getting lost? ☺ District 1 is catered not only to tourists, but also the people the locals. The financial district, a lot of local and foreign restaurants, bars and clubs at in district one. The new Nguyen Hue walking street is also in District one. You can find thousands of locals there hanging out at night. But there’s so much more than District 1. Step outside of District 1 and the food are cheaper, and even better. Vietnamese food is the best of Southeast Asia. The selection and freshness is unreal. There’s more than Pho, banh mi, and rice dish. Bun Bo Hue, Bun Moc, tons of different snails and shellfish, beef-chicken-lamb hot pot, and the list goes on. District 7, near all the high rises and also the Korean and Foreigners area. I think most people don’t know about that area, but big open road, a lot of cars, foreign restaurants, bars, and houses make you feel like you’re in a Western country. The street is clean; the air isn’t polluted, nice big park, river, a bridge that lights up, and a nice big shopping mall with restaurants and bars along the river where you can sit outside and enjoy the view. It’s actually quiet at night. But it’s only 20 minutes or so to District 1. 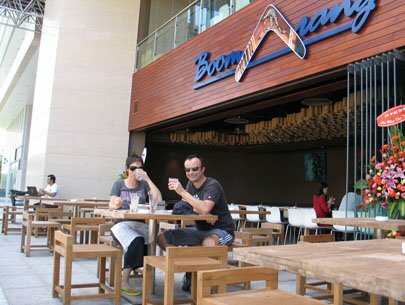 The Boomarang Bistro Saigon is located in Phu My Hung, District 7. Explore Restaurants in Ho Chi Minh (Saigon) & The South for more options. Staying in a city for an extended period of time, you will learn about things you like and dislike. We’ll start with what we don’t like. 1) Air Pollution. Seriously. Driving a scooter and having to deal with others blowing smoke out in your face is difficult. Buses are the worse. 2) Impatient People. People don’t like to wait here. Whether you’re driving, waiting in line at a grocery, elevators and etc. They will try to cut, squeeze, and go before you. Especially driving because they will always try to cut in front of you. 3) Crime: Purse snacking, scooter jacking, and etc. Locals are afraid to go anywhere at night ourselves. Ho Chi Minh is the only city we’ve ever been to that we can’t even use my phone on the pavement. Alicia our tour operator in Ho Chi Minh city was robbed her phone while calling a client in front of her office. Be careful and leave jewelry at home, and don’t use your expensive phone on the street. 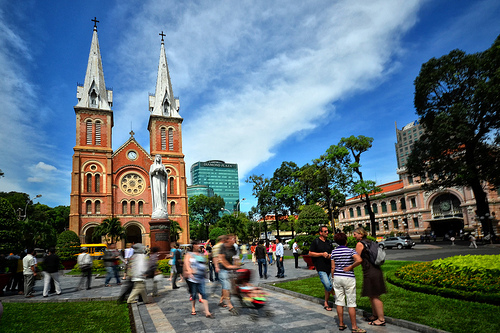 Now point to the things to do in Ho Chi Minh we love. 1) Food. You can eat food from all over the regions in Vietnam here. There are endless places to eat and Vietnamese love to eat. Every night of the week, you will see tons of people going out to eat. That’s why we love Vietnam. No matter how rich or poor you are, you always make time for friends and family. You make time to eat and drink together. 2) Cost of living. Hotels will set you back quite a bit, if you plan to live here for an extended period of time, renting a studio/apartment even in District 1 is very affordable. Long-term stay apartment can cost $400 a month with a kitchen, balcony, and a washer. Food is very cheap of course and living outside of District 1, it’s even cheaper. 3) Nightlife. There are so many places to go at night outside of Bui Vien. A lot of beautiful bars, lounges, and clubs that’s a lot cheaper to party than your own country. Is the liquor real? If you go to the right places, it is. It is like a city that seems to never sleep. People are up early for work, and you can find great places to eat late at night or early in the morning. No city in Vietnam has a busy nightlife as Ho Chi Minh. 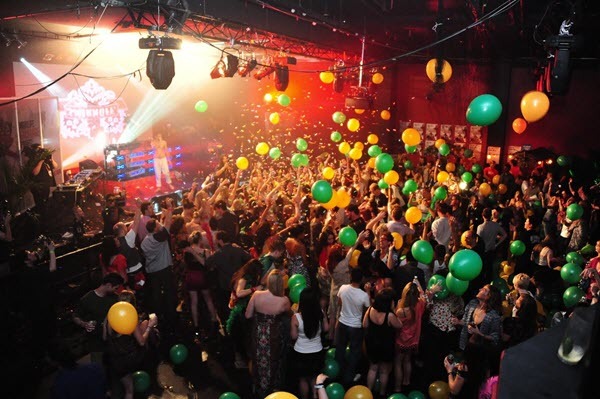 Music events are held nightly. Bars open till 2pm. Some restaurants in District 1 open till mid night. 4) Hidden gems. There are a lot of places to hang out with the locals and see the beautiful city at night. So many great street food and local restaurants. 5) People. People are actually friendly and nice if you get to know them. Not all of them are bad people. In District 1, you’ll meet more of the bad apples. Outside of district 1, people are friendlier and nicer. So where are the hidden gems? We can’t name all the food places because it’s too long so we’ll list some here. 1) Bun Moc Thanh Mai @ ‪14 Truong Dinh Street, Ben Thanh Ward, District 1, Ho Chi Minh City, Vietnam. Buc Moc aka is a pork base soup with 6-7 different types of pork and pork rolls. The broth is delicious and healthy. This place is right by Ben Thanh market and they sell out by 3PM. 2) Lunch Lady. Yes this is a tourist spot but her food is actually really good. Every day she cook something new so hopefully you’ll go on a day she actually cook something you can eat. It’s all noodle style dishes. The Rau Ma aka Pennyworth drink is really good. You either love it or you hat eit. It’s refreshing and delicious to me but it might not be for someone else. Order one and try it out. Probably the best Rau ma I’ve had since most places in Saigon put more water in theirs. 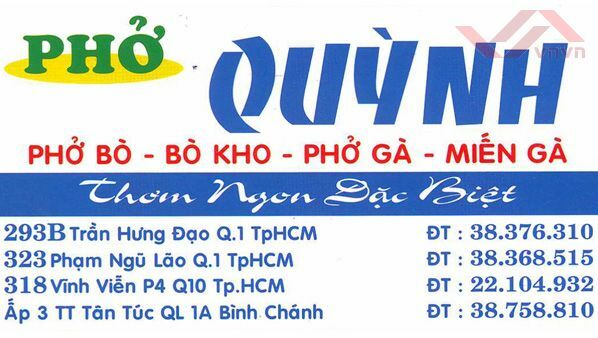 3) Pho Quynh @ 322, 1x Cư Xá Nguyễn Cảnh Chân, District 1, Phạm Ngũ Lão street, Ho Chi Minh city, Vietnam. Right in the smack of Backpacker area and on the corner of Pham Ngu Lao and Do Quang Dau. You can smell the “pho” noodle when you’re near this place. It is about 55k dong per “pho” but we can tell you it’s delicious. Get a bowl of beef meatball and beef. It’s probably one of the best “Pho” around. Pho Quynh – Where it is. PHỞ BÒ = Beef noodle – BÒ KHO = Sauteed beef – PHỞ GÀ = Chicken noodle – MIẾN GÀ = Chicken vermicelli. 4) Choi Go Jip @ 11 Công trường Mê Linh, Ben Nghe ward. Nice, clean, spacious, and amazing Korean BBQ. This place is legit and can be expensive if you’re on a tight budget, so not for the people who can’t afford to spend $30+ on a meal but it’s worth it. 5) Sushi Kokkaido Sachi @ 139 Nguyễn Trãi, Ho Chi Minh city, Vietnam. If you want fresh sushi then go here. It’s near the backpacker area so you can easily walk here if you stay around there. We know you’re in Vietnam but those who crave for good sushi can go here. They have Wagu Beef sashimi and OMG; it melts in your mouth! Ichiban Sushi is also near by on Le Lai and it’s a good option for Sushi even though it’s more of a tourist spot since I see a lot of Caucasian. If you go to Ichiban though, get the Spiderman roll with the soft shell crab & Uni nigiri Delish. 6) Banh Mi. It’s not on Google map but it’s on De Tham street in the backpacker area between Bui Vien and Tran Hung Dao. It’s right next to a tattoo place and Bizu. You can’t miss it. 7) Hu tieu aka Pork Rice and/or Egg Noodle. 39483 Yersin, Cầu Ông Lãnh, Quận 1, Hồ Chí Minh, Vietnam. Not the exact address but it’s right here and you can’t miss it. They only sell in the morning/afternoon I believe and a Chinese/Vietnamese runs it from Hong Kong. I would suggest the thick ride noodle one and get a side small bowl of pork bones and Chinese donut. It’s always packed. So we’ve recommended only places within the District 1 because we can’t list them all. We wanted to explore the bar and clubs scene to check it out so we’ve actually went to over half of the popular spots. The nightlife here is alive and well and it’s only getting better. There are so many rooftop bars and lounges opening all over Saigon. We’re only going to recommend the best ones that has a mix crowd. Remember when ordering a bottle, soda/mixer is not free. Most places are about $3+ per coke or water. So don’t be drinking it like fishes thinking it’s free. Unless you get a combo deal that comes with everything, prices for a bottle is just for the bottle. Glow Skybar offers splendid 360 degree view and excellent cocktails. 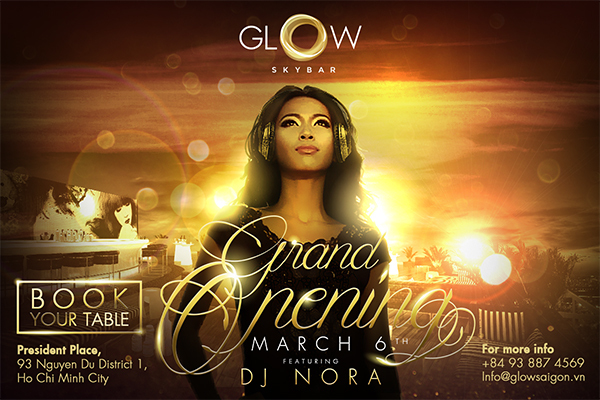 1) Glow Skybar: It has recently been renovated in September and this is probably one of my favorite spot. The rooftop bar area is called “Glow” and the club on the lower level inside is called, “Play”. They are owned by the same people and what’s cool about it is that you can buy a bottle and drink it at Glow and then when you’re ready to party, transfer that bottle inside. There are lot of professionals here and a good amount of non-Vietnamese. We think most of them work in Saigon. Hip, classy, chill, young and professional crowd. The music at Glow is deep house played at a low-medium level so you can actually have a conversation with your friends. The bar area is where people hang out at, but there’s also a lower level with lounge chairs and table. There’s also the back area of the skybar along the glass with stools and table for you to have a drink and enjoy the beautiful view without being crowded. I like it because it’s a chill atmosphere. Play is a really cool clubs that plays really great music. It’s hard to find places that play good EDM or Hip Hop because most places play Vietnamese EDM. Hip Hop nights are Thursday but you have to double check. 2) Chill Skybar: Probably popular with most people because it’s the highest rooftop bar in Saigon. The view is beautiful. The place gets pretty packed every single night so it’s best to call ahead and reserve a table. Order a bottle, it’s only $150 for Johnnie walker Gold Label but it will sure get you a good spot. You can drink at the bar but it’s crowded. If it’s too pack, you will have to wait downstairs and wait until other people leave before they have room to let you up. 300k dong will get up but you get a free drink. If you buy a bottle, you and the guests can go up for free in the VIP line so don’t be the ones waiting in line. It’s not expensive. Live a little! 3) Vuvuzela Beer Club. 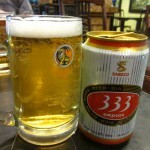 Beer club is extremely popular in Vietnam now and days. If you enjoy beer, finger food, and DJ playing music, you should check ont out. Most of the Beer Clubs is packed with Vietnamese customers and the music is ehh unless you actually like them. It’s too pack for my taste. This Vuvuzela on Nguyen Trai is actually nice because it double as a rooftop bar. There’s more room in here and the bar area goes all around with stool so if you by yourself, you can sit. The place is more chill and not rowdy or crowded as other places. It’s clean too. The prices of beer and food are actually decent. You can get 27k dong for a Vietnamese beer or we think 32k dong for a Heineken. These places are catered to Vietnamese customers so they don’t overcharge even if it’s a rooftop bar/restaurant. 4) Pandoara Skybar. This place is just like Glow/Play with the rooftop bar outside and a club inside. They have a special here if you come before 11PM. You can order their combo for 1.6 million dong. $75. It comes with a bottle of Belvedere Vodka, your flavor of Shisha, a fruit basket, and free mixer. That’s a hell of a deal. There might be other options too so you have to ask. I’m not sure if they still have this deal or not but I was just there in September. It’s a nice small skybar but the club inside is cool and plays great music. You might be the few non-Vietnamese customers though but if you don’t mind going with friends, it’s one of my favorite bar/club in Saigon. 5) Apocalypse Now Bar. A dive/Club that open pretty late until there’s not a lot of customers. This spot is one of the after hour spot when other places closes at 2PM, people start coming here. They play good music and you will see people from all over the world here. Locals and tourists like this place. Prices are not expensive either and you can get beer for about $3 or cocktail for $5-8. It certainly beats Go-Go Bar or Buffalo Bar on Bui Vien where drinks are overpriced and tons of working girls inside. 1) Nguyen Hue aka Walking Street. This place is very famous because it is the most central boulevard of Ho Chi Minh city. The street is nicknamed “flower street” because during Lunar New Year, it turns to be a huge botanical garden. Now any given night, you will see thousands of people around here. The streets are closed and there are a few groups performing there. If you want a little taste of what Vietnamese like to do when they go hang out, go here. They will sit on the bench, ground, eat, drink, play cards, games and hang out. Join the fun! Bring a blanket or just sit on the ground. Buy food from local or there’s a circle K across the street and a few drinks and sit down and people watch. It’s really fun and lively. 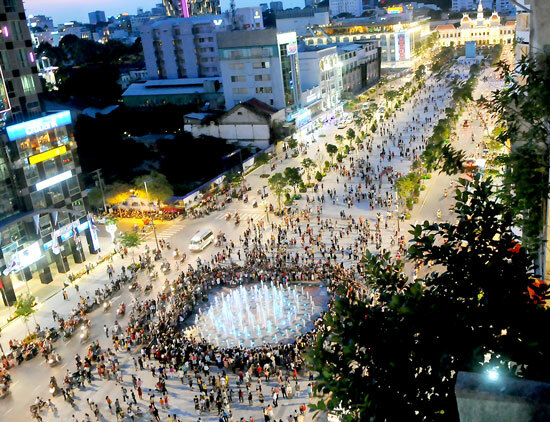 Nguyen Hue walking street and square opening since April 2015 is the Top things to do in Ho Chi Minh. This street was known as “the flower street” during TET holidays. Now it turns into the biggest walking street of Vietnam with the best central location with many restaurants, boutique malls, hotels and the City hall at the end of the street. 2) Saigon Skyline from across the river. If you have a motorbike or if you really want to see the city skyline from across the river, you can take a taxi there. You drive through the tunnel out of the city and make the first U-TURN you can. Once you make a U-TURN, stay on the right and don’t go into the toll/tunnel. Just follow straight and you’ll end up at the river across from the city. You’ll see how beautiful Saigon is transforming because that’s the only place where you can actually see Saigon skyline. Cây Bàng, Thủ Thiêm, Quận 2, Hồ Chí Minh, Vietnam. If you go there, you will see the Skyline from across the river. There are many people, mostly couples, who go there, to hang out at night. There are of course street vendors to sell food and drinks so you can buy some and hang there for a little bit. 3) The Crescent Mall. We’re not talking about the mall itself, but the surrounding area is very nice. This is an area that feels like you’re in a Western country. Lanterns lights up along the river with bars, restaurants and people hanging out. It’s very lively and this is where the foreigners and some wealthy Vietnamese people live. I would recommend going here at night and check out the scenery. It’s quite nice! I was just there for Lantern Moon Festival there and it was breathtaking. Go explore this area, to the nice park, and yo’ll end up in Korea Town. You will have no problem catching a Taxi back because there are plenty all around. Take your time and enjoy the area. 4) Shopping! Trung tâm gia sư nhân văn, 107 Nguyễn Trãi, 2, Quận 5, Hồ Chí Minh. If you don’t want to haggle and get ripped off in District 1, go here. The long street has everything you need from clothes to electronic. Both sides of the streets has tons of small shops that sells everything you might need. Street vendors will give you different prices but store prices are one price. Don’t buy stuff at Ben Thanh Market and then come on TA and say you got a bad experience! There are many great places to go, but we’ll try to keep it short for everyone! Ho Chi Minh is a beautiful city with loads of things to do, food to eat, places to see if you take more time to explore it. We will write more via emails for those who are interested. We try to keep everything in here simple and include places that are easy for people to get to. 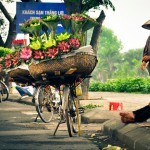 Our clients will come back so we will have more things to do in Ho Chi Minh and updates on our Blog. Hope it’ll help some travellers out with places to see outside of the tourist areas and consider spending more than a day or two in Ho Chi Minh city.